WHERE SPIRITS DWELL unearths the creaking, spine-chilling moments when ghosts appear in suburbia. 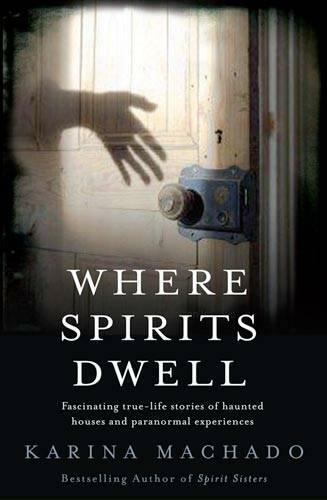 Alongside infamous Australian haunted homes, like Junee s Monte Cristo Homestead and Annandale s haunted Abbey, WHERE SPIRITS DWELL also takes readers inside other haunted dwellings including schools, pubs and even shopping centres. As she did in her bestselling book SPIRIT SISTERS, described as ‘addictive reading’ by the Daily Telegraph and ‘fascinating and thought-provoking’ by the Sun Herald, Karina Machado spins such a web of wonder that often the interviewees lives prove just as fascinating as the spooky experiences they re sharing with her. Along with these real-life experiences, Machado also investigates the haunted house in history, literature and popular culture in this creepy, intriguing book.